Wouldn’t it be great if you could maintain ideal weight and perfect body without much effort? Sadly, until we manage to do so with wishful thinking, we should focus on ‘old’ methods such as healthy diets and exercise. Exercise doesn’t necessarily mean that you have to sweat in the gym for long hours, as you can keep moving and stay active by walking, jogging, and cycling. Today, we are going to talk about the benefits of cycling and why so many people seem to find this activity useful in staying healthy. Much like swimming and running, cycling is an aerobic exercise which helps you get in shape, stimulates your heart rate, and by far improves your blood flow and stamina. Still, in order to get there, you should start slowly, especially if you haven’t been cycling before (or you haven’t been cycling for a while). The best thing is that cycling can be as intense as you want – you can start with low intensity and work your way up until it becomes a demanding workout. Unlike running, cycling doesn’t put much stress on your joints and bones and it increases your flexibility as well as your muscle strength. 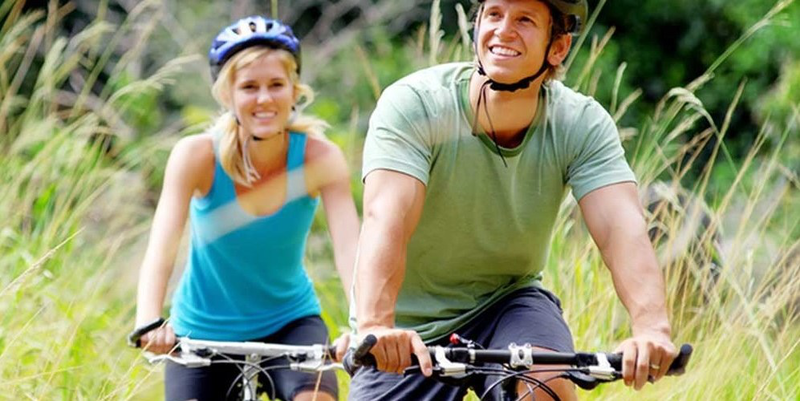 You can cycle in pairs and this will actually help make the activity more appealing to you: when you and your friend or family member set off on an adventure, you can have a blast and still manage to complete a serious workout. You keep moving around and exercising while, at the same time, you can soak in the environment and enjoy the beauty of your surroundings. You can make a new hobby out of it and even include some of your friends: you can cycle to a nearby park, bring tea and sandwiches and make a picnic when you get to a nice spot, or you can build strength and when the time comes, even go on a cycling holiday. 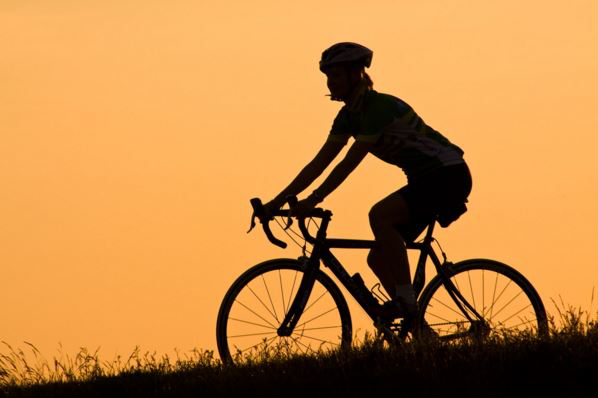 As with other forms of workout, cycling will make you feel happy along with making you lose weight and build strength. Any form of exercise is great for your mental health, and working out can help you cope with and battle depression and anxiety. When you go out on your bike and cycle for a while, your brain enters a meditative state of mind and you feel calm and much happier. When you focus on getting stronger and cycling from one place to another as fast you can, you become more confident and start feeling better about yourself. Not to mention that people usually appreciate the weight loss and muscles they get from cycling, and this also boosts their self-esteem. Another thing that makes cycling so much fun is the fact that it allows you to move and get from one place to another. Cycling to and from work is a great way to save money on gas as well as do something good for our planet. When you don’t rely on your car so much, you reduce your carbon footprint as well. Cycling is a time-efficient mode of transport which will also make up for all the sedentary time in your office and being a couch potato at home. Even though cycling causes less strain and results in fewer injuries than other forms of exercise, off-road cycling is more challenging and a bit more dangerous than cycling around your neighborhood. Make sure you are well protected: gloves to help you grip the handles, sturdy full face helmets, and knee pads are all great equipment which will protect you from sustaining any injuries. Enjoy the beauty of nature and breathe in the fresh air, but don’t forget to carry a bottle of water and wear sunglasses – you will not be stumbling upon any supermarkets while cycling through the woods. One of the best things about cycling is that it’s easy – once you learn to ride a bike, you never forget it. You don’t need to buy an expensive bike nor do you need to worry about where you’ve put your keys like with your car. Cycling is a great way to stay healthy and get in shape and save some money, and if you go out and buy a raincoat, you’ll be able to ride your bike regardless of the weather conditions.